Artist Robert Hooke is a master of body language. 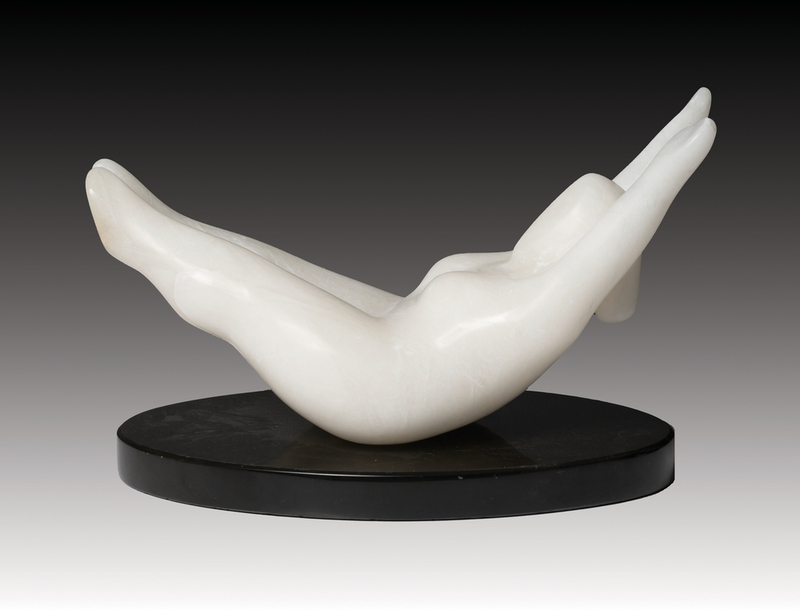 He observes it in humans, animals and birds; interprets it and effortlessly captures it in his sculptures. This exhibition, Movement, exclusively curated for Artsy, conveys the control that Hooke has over his materials: marble, soapstone, alabaster and patinated bronze. They are not the easiest materials to manipulate but it is as if Hooke’s sculptures came into existence the way they are: clean lines and smooth surfaces - some would call it perfection. By reducing the form of his sculptures to the point of abstraction, Hooke is able to create a sense of movement - urgency almost - in his figures: the Panther Stalking, or the Leopard Hunting. Hooke’s unique gift is that he is able to express more with less. There is no need for detail in these sculptures, his figures convey it all. View the exhibition by clicking here.